Tom Arnold Scuffles With Producer Of The Apprentice - Joe.My.God. 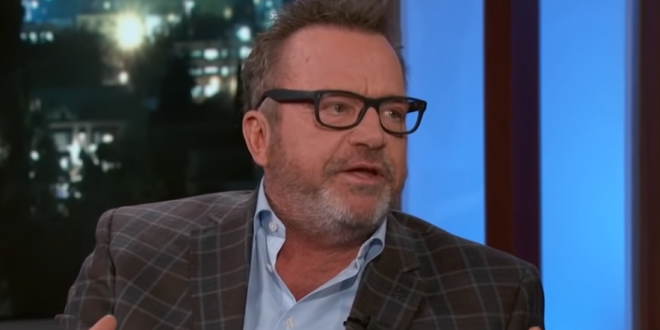 The tension between Tom Arnold and Mark Burnett boiled over into a physical altercation at Sunday’s Evening Before Emmy party, a fundraiser for the Motion Picture Television Fund. Details of the incident are still unclear. According to a source with knowledge of the situation, Burnett and Arnold arrived at the event held at the Lawn at Century Park at around 9:30 p.m. As both men were walking into the event, a scuffle ensued. A source with knowledge of the situation said it involved shoving but it was unclear who made the first move. Arnold claimed Burnett tried to choke him. Burnett’s wife, Roma Downey says Arnold “tried to ambush” her and Mark. She says Arnold hurt her and she posted a pic of a bruise on her hand, claiming Arnold was the culprit. Arnold has been working on a show for Vice, a show about so-called “hidden Trump tapes.” One of the things Arnold is after is the outtakes from “The Apprentice,” which Burnett created and produces. Arnold believes the tapes reveal Trump using the n-word and other epithets. Burnett has said he has no access to the tapes because they’re owned by MGM.